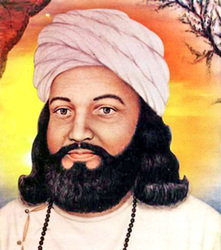 Waris Shah (Urdu/Punjabi: وارث شاہ) (1706 – 1798) was a Punjabi Sufi poet, best-known for his seminal work Heer Ranjha, based on the traditional folk tale of Heer and her lover Ranjha. Heer is considered one of the quintessential works of classical Punjabi literature. The story of Heer was also put to paper by several other writers, including Damodar Daas, Mukbal, and Ahmed Gujjar, but Waris Shah’s version is by far the most popular today. 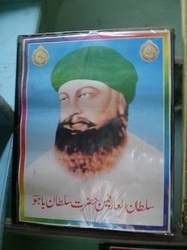 Waris Shah was into a reputed Syed family in the village of Jandiala Sher Khan, Sheikhupura District, Pakistan Punjab in or around 1706. His father’s name was Gulshar Shah. Waris Shah acknowledged himself as a disciple of Pir Makhdum of Kasur. Waris Shah’s parents are said to have died when he was in his early years and he probably received his education at the shrine of his preceptor. After completing his education in Kasur, he shifted his residence to Malkahans. Here, he resided in a small room, adjacent to a historic mosque. Waris Shah died in or around 1798 when he was around 92 years of age. His mausoleum is a place of pilgrimage today, especially for those in love. He was a consummate artiste, deeply learned in Sufi and domestic cultural lore. His verse is a treasure-trove of Punjabi phrases, idioms and sayings. His minute and realistic depiction of each detail of Punjabi life and the political situation in the 1700s, remains unique. Waris Shah also sublimated his own unrequited love for a girl (Bhag Bhari) in writing romance. The amazing poetic mould that he worked within has not been bettered by any of his successors till date. Sultan Bahu (Punjabi: سلطان باہو) (ca 1628 - 1691) was a Muslim Sufi and saint, who founded the Sarwari Qadiri Sufi order. Shrine of Sultan Bahu The mausoleum of Sultan Bahu is located in Garh Maharaja, Punjab, Pakistan. It was originally built on his grave. However, the mausoleum subsequently had to be moved twice when the Chenab River changed its course. It is a popular and frequently-visited Sufi shrine, and the annual Urs festival commemorating his death is celebrated with great fervour. The Urs festival is held during the month of Muharram. Every year on the 9th of Muharram (Islamic calendar month) a ghusal is also conducted under the supervision of Muhammad Najeeb Sultan (Sajjada Nasheen (Chair-holder) of the Sultan Bahu shrine), in which all descendants of Sultan Bahu wash his shrine with pure rose water. 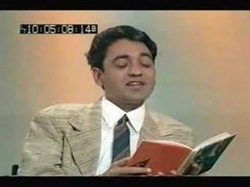 Shiv Kumar was born in Bara Pind Lohtian (Shakargarh tehsil), in Punjab (now Pakistan). Shiv’s date of birth as recorded on his horoscope is July 23, 1936, while a latter birth date, October 23, 1937 is recorded on his matriculation certificate that was the only official birth record at that time. His father was a Patwari by the name of Pandit Krishan Gopal. After the partition his family moved to Batala. As a child Shiv is said to have been fascinated by birds and rugged, thorny plants on the Punjabi landscape. Shiv was exposed to the ramlila at an early age, and it is to be expected that he received what was later to become his instinctive understanding of drama from these early performances. Shiv passed his matriculate exams in 1953, from Punjab University. He went on to enroll in the F.Sc. programme at Baring Union Christian College in Batala. Before completing his degree he moved to S.N. College, Qadian into their Arts program. It is here that he began to sing ghazals and songs for his class-mates. Shiv never gave the final exams he needed to pass to receive his degree. Around this period, he met a girl named Maina at a fair in Baijnath. When he went back to look for her in her hometown, he heard the news of her death and wrote his elegy 'Maina'. This episode was to prefigure numerous other partings that would serve as material to distill into poems. Perhaps the most celebrated such episode is his fascination for Gurbaksh Singh's daughter who left for the US and married someone else. When he heard of the birth of her first child, Shiv wrote 'Main ek shikra yaar banaya', perhaps his most famous love poem. In 1965 Shiv won the Sahitya Akademi award for his verse-drama Loona. He married on Feb 5, 1967. His wife Aruna was a Brahmin from Kir Mangyal in district Gurdaspur. By all accounts Shiv had a happy marriage. He had two children, Meharbaan (b. Apr. 12, 1968) and Puja (b. Sep. 23, 1969) whom he loved immensely. By 1968 he had moved to Chandigarh, but both Batala and Chandigarh became soulless in his eyes. Chandigarh brought him fame, but scathing criticism as well, Shiv replied with an article titled 'My hostile critics'. Meanwhile his epilepsy got worse and he had a serious attack while at a store in Chandigarh's Sector 22. Shiv Kumar Batalvi, the poet, literally dominated poetic gatherings in his short life. In the early 70's Shiv came to Bombay for a literary conference. In keeping with Shiv's outrageous behaviour there is a story about his trip to Bombay as well. Part of the conference involved readings at Shanmukananda hall. After a few people had read their work (one of whom was Meena Kumari), Shiv got on the stage and began "Almost everyone today has begun to consider themselves a poet, each and every person off the streets is writing ghazals". By the time he'd finished with his diatribe, there was not a sound in the hall. This is when he began to read 'Ek kuri jeeda naam mohabbat. gum hai, gum hai...'. There wasn't a sound when he finished either. By saying, "Prabh Ji Saanu Ik Giit Udhaaraa Hor Deyo", Shiv gave all credit for his writings to The Almighty God, as if all his poetry was from that Divine Power. This speaks of his spritual leanings. This was the greatness of a poet who wrote best of the Punjabi Giits but according to him it was only God who had bestowed on him the power to write and he had nothing, of his own, to write or say. Shiv has been called a Bohemian. There were complaints about his drinking and some suggestions that his 'friends' had him drink so he would exhibit his outrageous self. Shiv Kumar died in the 36th year of his life on May 7, 1973 in his father-in-law's house at Kir Mangyal near Pathankot. Great creative personalities often burn themselves to illuminate the world. Shiv Kumar Batalvi is reported to have said, "We don’t do PhDs; other people will do PhDs on us". Such great artists come as a blessing to the world. But, not for themselves or their families, and one can hardly blame their families or the monotonous world for making their lives difficult. Shiv often used to say that he was going to die soon ..... Asaan taan joban rutey marna .... Kabraan udeekadiyan .... and so on. 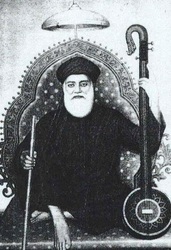 Shah Hussain Shah Hussain (1538 – 1599) was a Punjabi Sufi poet and Sufi saint. He was the son of Sheikh Usman, a weaver, and belonged to the Dhudha clan of Rajputs. He was born in Lahore, Pakistan). 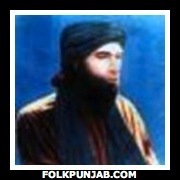 He is considered a pioneer of the kafi form of Punjabi poetry. He was born in the Daraza village of Khairpur, Sindh in 1739 right around the when the Afghan warlord Nadir Shah invaded Sindh. His real name was Abdul Wahab but he adopted the name Sachal, which means truthful and Sarmast which means the intoxicated. Sachal lost his father when he was very young. He was raised by his uncle who later became his spiritual master. He married his cousin who died two years later and Sachal did not marry again. During his childhood, once Sachal went to Shah Abdul Latif Bhittai, another great mystic poet of Sindh, who looked at him and said this little boy will complete what he had started. Sachal was a great lover of music. Touched by music, he would often cry profusely. Couplets would pour out from his lips, which his followers or fellow dervishes would immediately inscribe. Sachal is well known for his kalam as well as kafis conveying his spiritual message in haunting melodies. Sachal preferred solitude and silence. He never traveled out from his village Daraza. He was very simple in his attire, lifestyle, and eating habits. Soup and yoghurt were his favorites. He slept on a bare wooden bed. He was a humble man with long soft flowing hair, and penetrating eyes. He wrote mystical poetry in Arabic, Sindhi, Seraiki, Punjabi, Urdu, Farsi (Persian) and Baluchi. He once said, "He (God) is everywhere and in each and every phenomenon. He has come here just to witness His own manifestation." His Upbringing He was brought up in a very religious environment, and received his early education at home. He was later sent with his elder brother, Mīān Bahāval, to the nearby village of Samwal Sharīf to study religious sciences, especially the science of Hadith in the madrassah of Hāfiz Muhammad ‘Alī. Hāfiz Muhammad ‘Alī had a brother, Hāfiz Nāsir, who was a majzub, and had renounced worldly matters; this dervish resided at that time in the mosque at Samwal Sharīf. 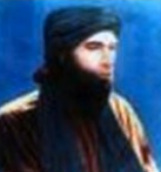 From childhood Mīān Muhammad had exhibited a penchant for poetry, and was especially fond of reading Yūsuf ō Zulaikhā by Nur ad-Din Abd ar-Rahman Jami. During his time at the madrassah, Hāfiz Nāsir would often beg him to sing some lines from Jami’s poetry, and upon hearing it so expertly rendered would invariably fall into a state of spiritual intoxication. His Poetic Talents and Works Once he had advanced a little along the Sufi way he became more and more interested in composing poetry, and one of the first things he penned was a qasidah (quatrain) in praise of his spiritual guide. Initially he preferred to write siharfis and duhras, but then he advanced to composing stories in verse. His poetry is essentially written in the Pothohari dialect of Panjabi, and utilizes a rich vocabulary of Persian and Arabic words. 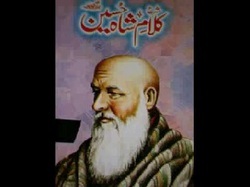 khawaja ghulam farid Khawaja Ghulam Farid, the top most spiritual poet in Siraiki Language, was born in 1845 A.D. at Kot Mithan, in a family of Arab settlers who had come to this country along with the Arab forces. 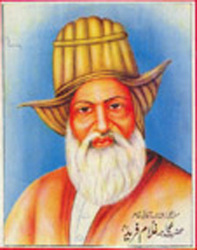 Maulana Khuda Bux had two sons, Khawaja Farid-ud-Din and Khawaja Fakhar-ud-Din. It is said that when Khawaja Ghulam Farid was a child, Maulana Muhammad gave him the first lesson of the first alphabet "ALIF" and asked him to say "ALIF". He repeated the same again and again till every-one present there was enveloped by a trance. Some qawali singers were invited and they too recited the same word on their musical instruments. The trance remained in sway for a considerable time. Khawaja Farid's mother died when he was only four years of age. He was looked after by his eider brother. At the age of eight, he had committed to memory the whole of the holy Quran. Thereafter Nawab Sadiq Muhammad Khan took the child to his palace at Ahmad Pur Sharqia for imparting him religious knowledge by some renowned scholar. At the age of thirteen, Khawaja Farid became the disciple of Khawaja Fakhar-ud-Din, his elder brother. When he crossed 28 years of his age Khawaja Fakhar-ud-Din died. He left for Ruhi where the remained for about eighteen years. It was a typical wilderness but suitable for a recluse saint. It was very beneficial for connection with Kot Mithan or Chachar. About this wilderness of Ruhi, we often read in his lyrics. He performed Haj Baitullah in 1876. Khawaja Farid was conversant with seven languages Viz, Arabic, Persian, Urdu, Multani, Sindhi, Hindi and Sansakrat. He led a life of purity and was utterly devoted to the righteous path of the Holy Prophet of Islam. May his soul ever rest in peace. Mir Bulleh Shah Qadiri Shatari, often referred to simply as Bulleh Shah (a shortened form of Abdullah Shah) lived in what is today Pakistan. His family was very religious and had a long tradition of association with Sufis. Bulleh Shah's father was especially known for his learning and devotion to God, raising both Bulleh Shah and his sister in a life of prayer and meditation. The nature of Bulleh Shah's realization led to such a profound egolessness and non-concern for social convention that it has been the source of many popular comical stories -- calling to mind stories of St. Francis or Ramakrishna. For example, one day Bulleh Shah saw a young woman eagerly waiting for her husband to return home. Seeing how, in her anticipation, she braided her hair, Bulleh Shah deeply identified with the devoted way she prepared herself for her beloved. So Bulleh Shah dressed himself as a woman and braided his own hair, before rushing to see his teacher, Inayat Shah. 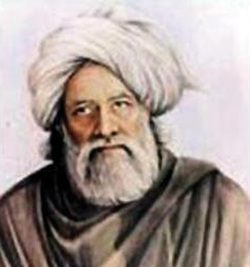 Bulleh Shah is considered to be one of the greatest mystic poets of the Punjab region.